Shaundra Watson serves as Director, Policy at BSA | The Software Alliance, where she provides counsel and develops global policy on issues related to privacy, data security and artificial intelligence. Prior to joining BSA, Shaundra held several positions at the U.S. Federal Trade Commission, including serving as an Attorney Advisor to former Chairwoman Ramirez and former Commissioner Brill, and as a Counsel in the Office of International Affairs. During her FTC tenure, Shaundra played a key role on notable privacy and security initiatives for over a decade, including the negotiation of the EU-U.S. Privacy Shield, implementation of the APEC Cross-Border Privacy Rules, and development of policy on the Internet of Things and big data. 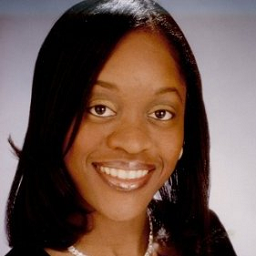 Prior to joining the FTC, Shaundra practiced law at Hogan & Hartson L.L.P. (now Hogan Lovells). Shaundra clerked for Justice Peggy Quince on the Florida Supreme Court and is a graduate of the University of Virginia School of Law.